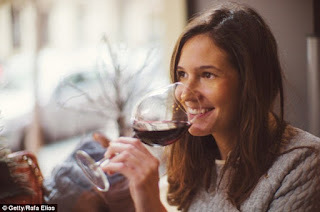 Women...Alcohol does increase your chances of breast Cancer, Study reveals - BlogIT with OLIVIA!!! A new study has revealed even moderate drinkers should be concerned. Consuming in less than two alcoholic beverages a day, puts drinkers at greater risk of breast and bowel cancer - two of the most deadly forms of the disease. Lead author, professor Jennie Connor at Otago Medical School, said findings relating to breast cancer were particularly sobering. 'We estimated 71 breast cancer deaths in 2007 and 65 in 2012 were due to drinking, and about a third of these were associated with drinking less than two drinks a day on average. The study, a collaboration with the Global Burden of Disease Alcohol Group, and published in the journal Drug and Alcohol Review, builds on previous research that identified 30 per cent of all alcohol-attributable deaths in New Zealand to be be linked to cancer, more than all other chronic diseases combined. It uses evidence that alcohol causes some types of cancer after combining dozens of large studies conducted internationally over several decades. The cancers that are known to be causally related to alcohol include two of the most common causes of cancer death in New Zealand, breast and bowel cancer, but also cancer of the mouth, pharynx, oesophagus, larynx and liver. 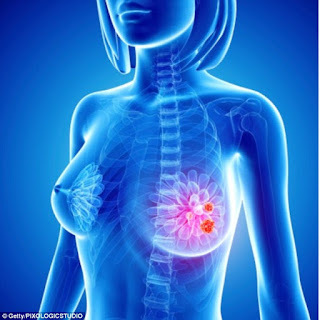 Professor Connor added: 'There was little difference between men and women in the number of cancer deaths due to alcohol, even though men drink much more heavily than women, because breast cancer deaths balanced higher numbers of deaths in men from other cancer types. Therefore all women are advised to desist from taking too much alcohol as it deteriorate their health and make them prone to cancer. Health is wealth.